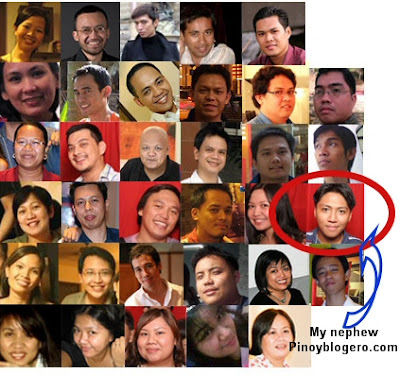 My nephew Karlo (Pinoy Blogero) told me last night that he was one that was picked by Basapa's List of Top Pinoy Probloggers of this year. Topping Basapa's list is Yuga, followed by Bryan Boy, Carl Ocab and my nephew Karlo made it to the top 15. Of course he was happy about it being lined among Phil's. probloggers. Can you tell I'm a proud aunt hehe?